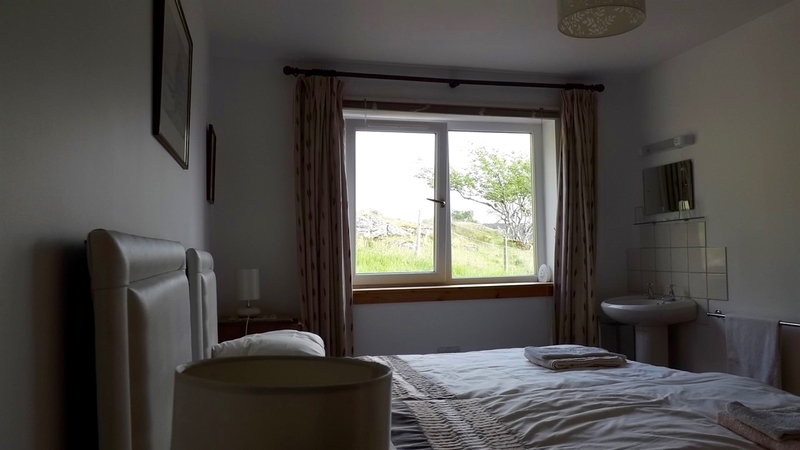 Croftend provides comfortable self-catering accommodation for up to four people in a former Croft house which has been completely renovated and extended. Standing alone it provides uninterrupted views over Loch Shieldaig. 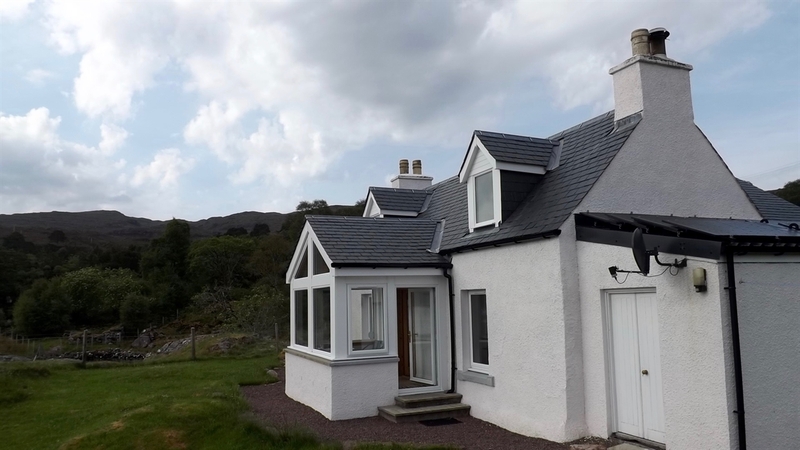 Croftend is an ideal base from which to explore this beautiful part of Wester Ross. 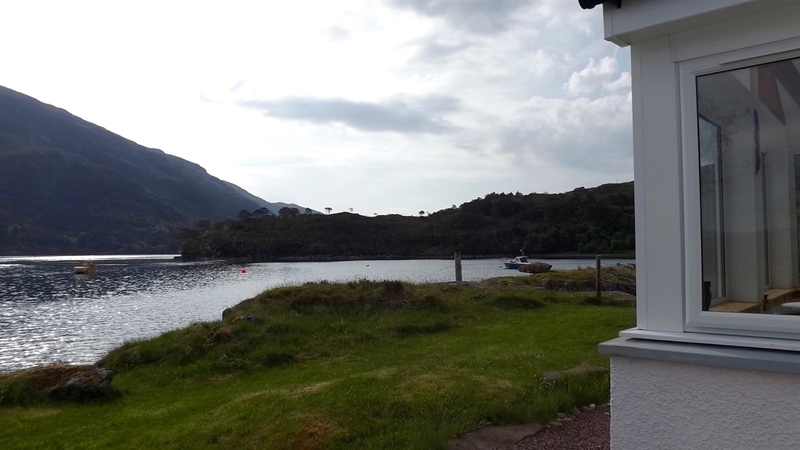 Standing by the shore of Loch Shieldaig it is an ideal retreat if you are seeking peace and quiet in this beautiful National Scenic area. The original cottage now provides the living area comprising kitchen-diner and sitting room, with a sun-porch off to the front. 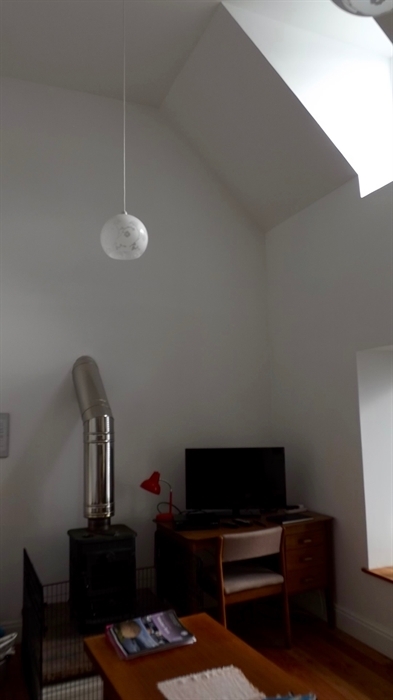 The new extension to the rear contains the two bedrooms and the bathroom. One bedroom has a king-size bed and built in wardrobe the second is twin bedded. Both have wash-hand basins. The bathroom has both bath and separate walk-in shower. The owners live in Doire-aonar, and are on hand with help and information. Mrs Calcott has a small wool shop selling her knitwear. The cottage is open all year, as is TURTOLA the Finnish Log Cabin advertised separately on this site. 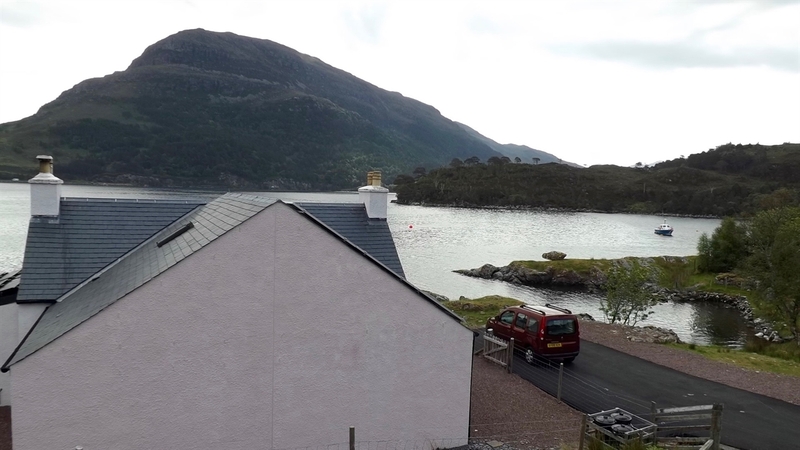 Shieldaig village, with local shop,cafe and bar, can be seen across the loch. It is about ten minutes by car.